Belmont Regional Park Hills, looking over Cannons Head and Round Hill. Pauatahanui Inlet beyond. 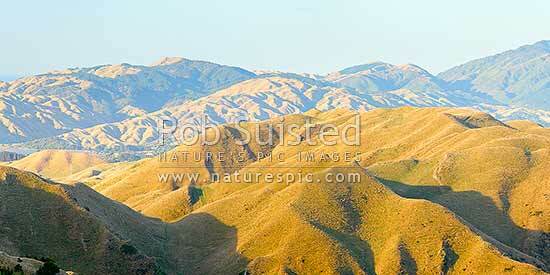 Panorama, Belmont Regional Park, Porirua City District, Wellington Region, New Zealand (NZ), stock photo.